Borderline Personality Disorder is very common. One in twenty people in the US have a diagnosis, and studies have suggested that it is even more prevalent in the queer community. Yet it is one of the most stigmatized and least understood mental health conditions out there, with even clinicians struggling to understand and relate to patients. This matters to me, because I was diagnosed with BPD five years ago. I have a complicated relationship with my diagnosis and the inherent biases in the DSM, but I do identify with the struggles – and strengths – that the condition defines. After recently watching the new Kristen Wiig movie, Welcome to Me, I began to think about representations of BPD in the media and how they don’t exactly match up with what I have experienced. On the one hand it’s an awesome movie – offbeat, funny, with Wiig in fine form, riding that line between silliness and pathos she does so well. On the other hand, well, it’s another in a long line of simplistic portrayals of the “bad borderline” who lacks empathy, is selfish, and is incapable of change. It is more nuanced than the bunny boiler or the out-of-control party girl we usually see, but this is still a black and white portrayal of the illness – rather apt, considering black and white thinking is a key symptom of BPD. In this climate of mental health awareness campaigns and neurodiversity, where conditions like autism are being destigmatized and embraced, this seems unfair. As a person with BPD and a feminist who’s interested in pop culture’s complicated relationship with difficult women, what were you expecting from Welcome to Me and how did it conform to and differ from those expectations? Any time I see a reference to borderline personality disorder, I have two opposite feelings at the same time: ooh, cool! And oh no. I want to see BPD represented, so the first part of my response is eagerness to see more, and more varied, representations of an illness category that I have identified with in my own work, despite the massive stigma attached to it. The second part is my fear that another representation will not necessarily mean a good, useful, or illuminating representation. The title alone gave reason for caution, and I winced a little at the self-involvement it promised. The main character is difficult in ways I could not intuitively understand. I was very impressed with how the film fully captures the all-encompassing nature of BPD, how it is within the very fabric of a person’s being, very much a defining feature of their personality. Unfortunately, this made the film’s redemption narrative, in which she gives away all her money to her more “deserving” mentally healthy friend, ring pretty false and seem very stigmatizing and unfair. Can we have a satisfying Hollywood ending without humbling or punishing the crazy girl? One way to look at her gesture of giving away seven million dollars is as an example of how little Alice changes in the film. It is a simplistic resolution of her relationship to her friend, Gina, but it is the kind of simplistic–and impulsive–resolution that vibes borderline. The screenplay writer, Eliot Laurence, says (in an interview with Writers Guild of America, West) that he wanted to be realistic in creating an ending where the protagonist has changed, but not much. I think she should have kept her money. But I don’t resent the plot trajectory toward humbling the character. Facing life experiences that bring humility is an important part of adulthood for everyone. It is right for her to atone for being insensitive, but writing a check skips the hard work of changing in subtler and more permanent ways. Some mental health advocates are calling for a “neuroqueer” view of mental illness, in which brain differences are just differences, much like being gay or transgender, and ought not to be stigmatized. This is closer to how I currently view my own diagnosis. Do you subscribe to this idea and, if so, do you think Welcome to Me would have benefited from applying it? My current project attempts to explore the idea of approaching BPD from a neuroqueer perspective, as a vibrant and unique way of being in the world, akin to work among autism theorists who reject a focus on curing or masking autism. I say “attempts to explore” because I am stuck right now. I read a short piece by feminist theorist Susan Cahn recently that described personality disorders as defects of character, not mental illnesses. I am stung by the distinction and still mulling it over. This film is missing the strengths of BPD. Alice lacks interpersonal charm and creative vision. Alice is all deficits and no gifts. 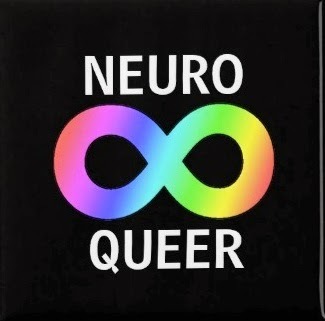 A neuroqueer depiction might balance this ratio a bit more. The film is the only significant portrayal of BPD we’ve seen on screen since 1999’s Girl, Interrupted (itself an incomplete and somewhat problematic portrayal) and since the condition is so common and yet so misunderstood, this is unacceptable. Do you think we’re due for a mental health revolution, similar to those we’ve recently seen in LGBT rights and feminism? What adjustments would have to be made in the popular consciousness to allow this to happen? A New York Times article in January 2014 called for “more granular language” in talking about mental illness and urged the public to renounce the generalizing phrase, “mental illness.” I was drawn to this idea and dismayed, though not surprised, to see others shouting it down on Facebook. There is a thick wall of defensiveness among those who identify as mentally healthy against the idea that the boundary between them and “the mentally ill” may be porous or perhaps even fictional. The popular consciousness needs to know more about BPD than what is in the DSM. Instead of a character defect, researchers have proposed a biological/neurological basis for BPD and reframed it as an anxiety disorder or even an atypical form of bipolar disorder. It would be useful to see those proposals and debates find a wider audience. Posted October 12th, 2015 & filed under Entertainment, Health.